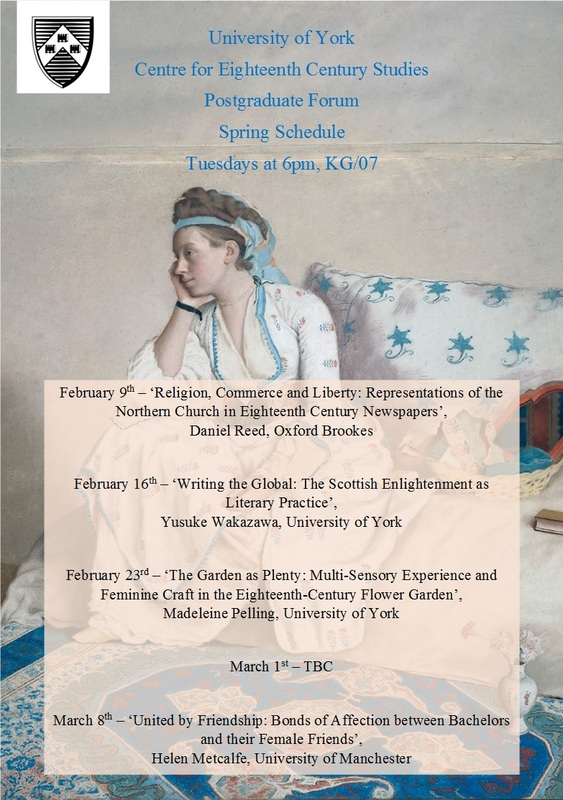 The University of York Centre for Eighteenth Century Studies Postgraduate Forum is pleased to confirm its spring term schedule. We meet on Tuesdays, 6pm, at KG/07 (Kings Manor). Visiting postgraduates are, as ever, very welcome to join us and we tend to conclude proceedings with a hearty drink or two at the Three-Legged Mare. We also warmly invite abstracts for our Summer term sessions, and particularly encourage any first-time papers from postgraduates researching in the 1660-1830 period.